Studying fictional maps of real locations is an intriguing hobby for many sci-fi/fantasy fans. 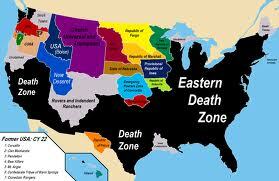 Some recent maps appearing in books, movies and TV shows have caught the imagination of many. They feature North America in our future and alternate worlds. With S.M. Stirling’s Emberverse books (starting with Dies The Fire) it can be seen that North America looks balkanized with a myriad of separate nations. 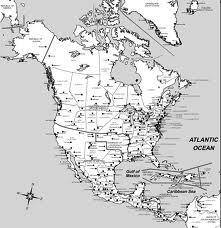 One of author Harry Turtledove’s best books The Two Georges (co-written with Richard Dreyfuss) has a map of the so-called North American Union that looks supersized as the country encompasses Canada. His epic Southern Victory series of books had maps of North America where the Confederacy still existed into the 20th century. Starting with How Few Remain through The Great War trilogy and the Settling Accounts tetralogy the maps changed radically over time. 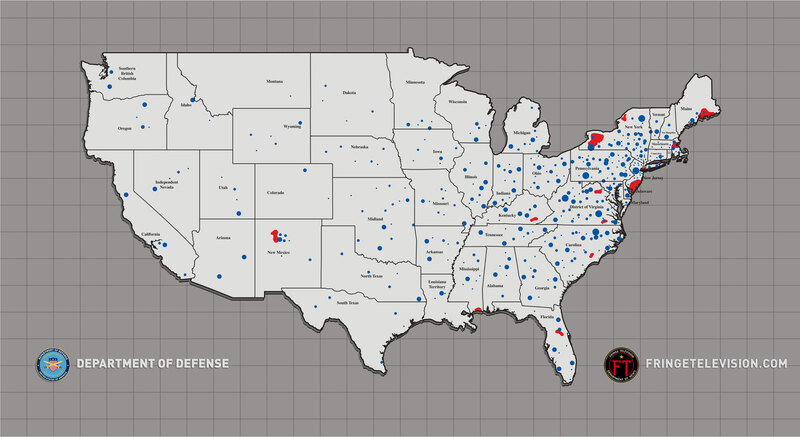 The maps featured in the TV shows Jericho and Fringe have different versions of the U.S. 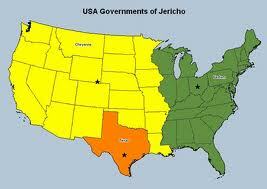 In Jericho, the nation has split into three nations, the U.S., Texas and the Allied States. In Fringe, the characters often visited a parallel world where the United States’ configuration is slightly different. 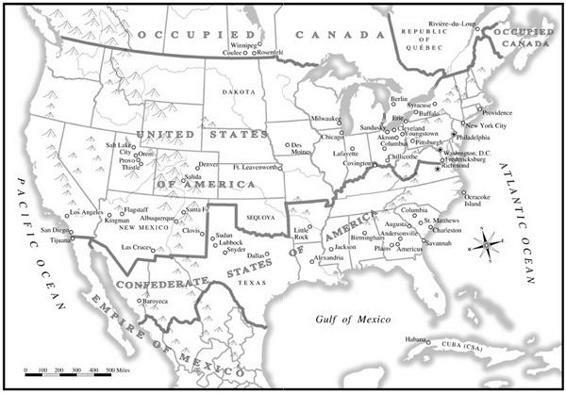 Among the differences, Texas is split into two states, while North and South Carolina is one state. As anyone can see, the United States no longer exists in these two maps featured from The Hunger Games and the TV show Revolution. 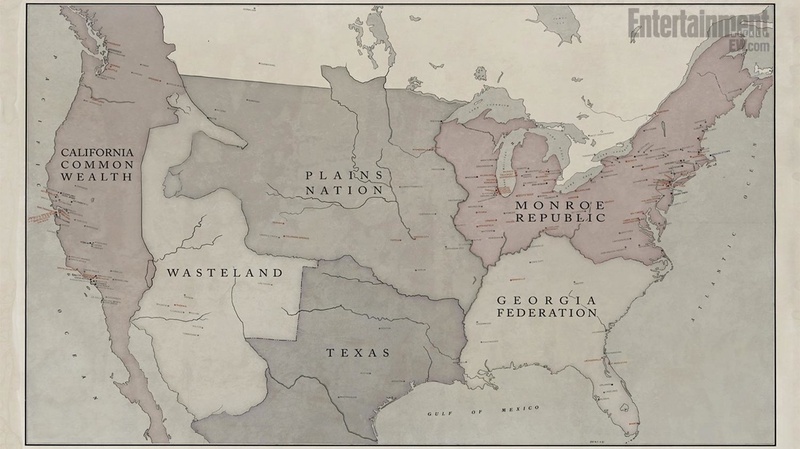 In the map from Revolution the U.S. has broken up into several nations with names like the Monroe Republic (where the show takes place in and spans from the Great Lakes region to the Mid-Atlantic and Northeast) and the California Commonwealth. 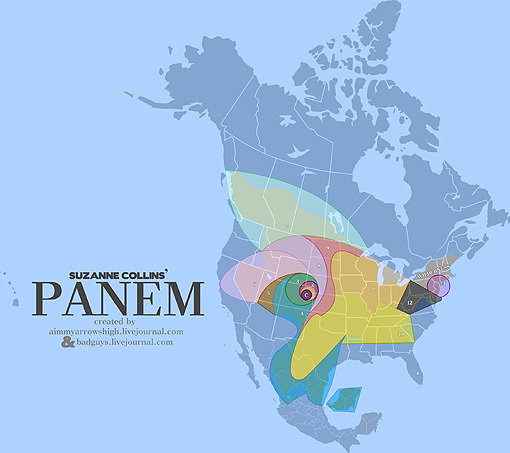 But the map of the fictional nation Panem from The Hunger Games truly catches the eyes with the changed geography. Notice that the Florida Peninsula is underwater along with most of the modern coastline. Apparently The Hunger Games takes place in the far future where the greenhouse effect has radically altered the landscape. These are just a tiny sampling of fascinating maps of places that don’t exist, at least here and now. Hello!!! I honestly like this web-site, especially the arrangement. 😀 Anyhow, I just wanted to say thanks a lot for all the posts as well as please continue the good work. I really enjoy browsing more.